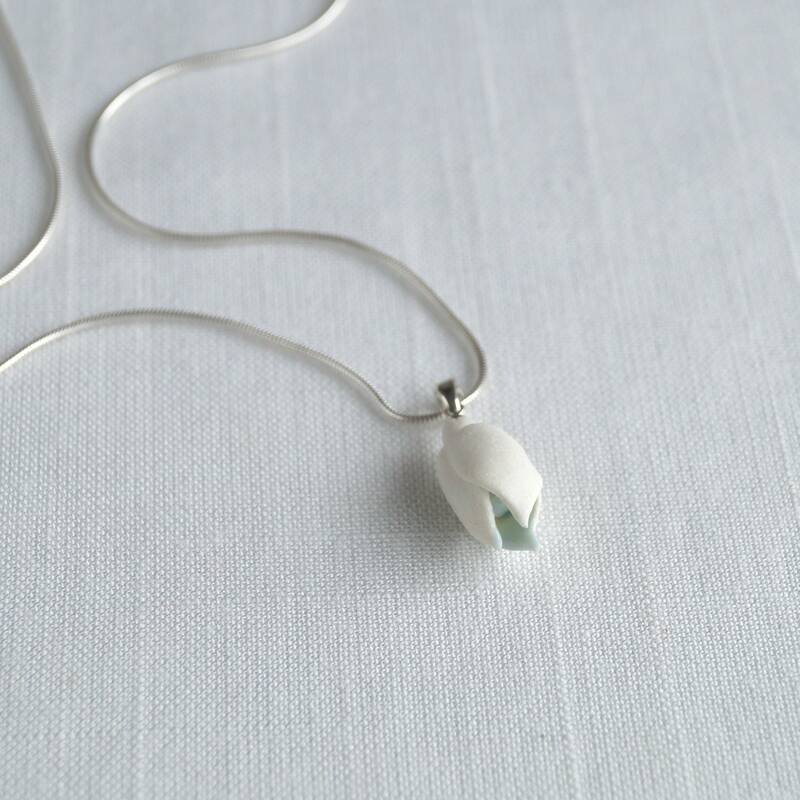 This necklace has an exquisite porcelain snowdrop hanging on a slinky silver chain. 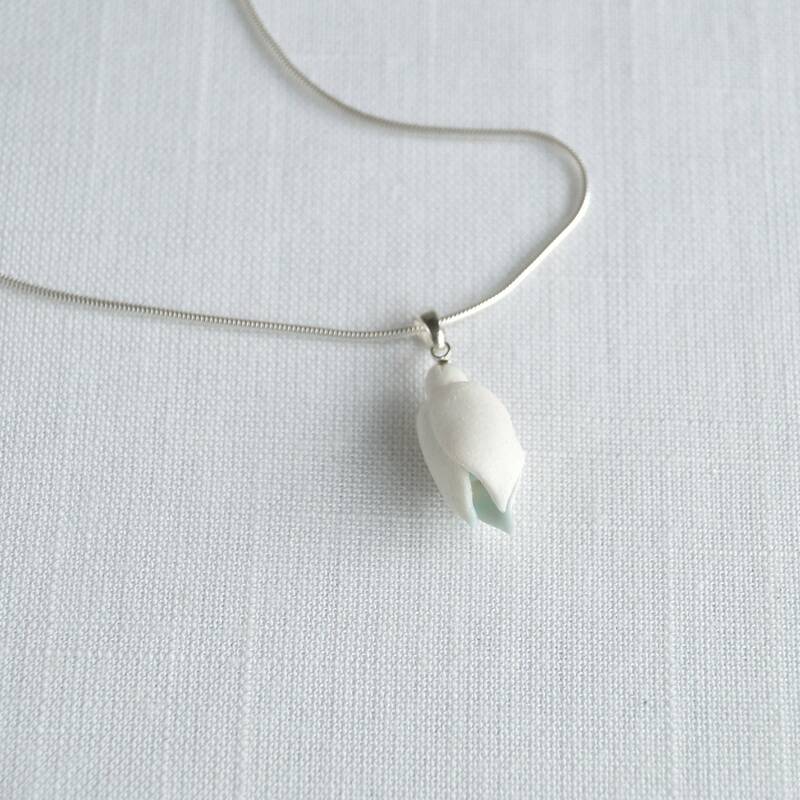 Snowdrop individually sculpted by me in white porcelain clay. 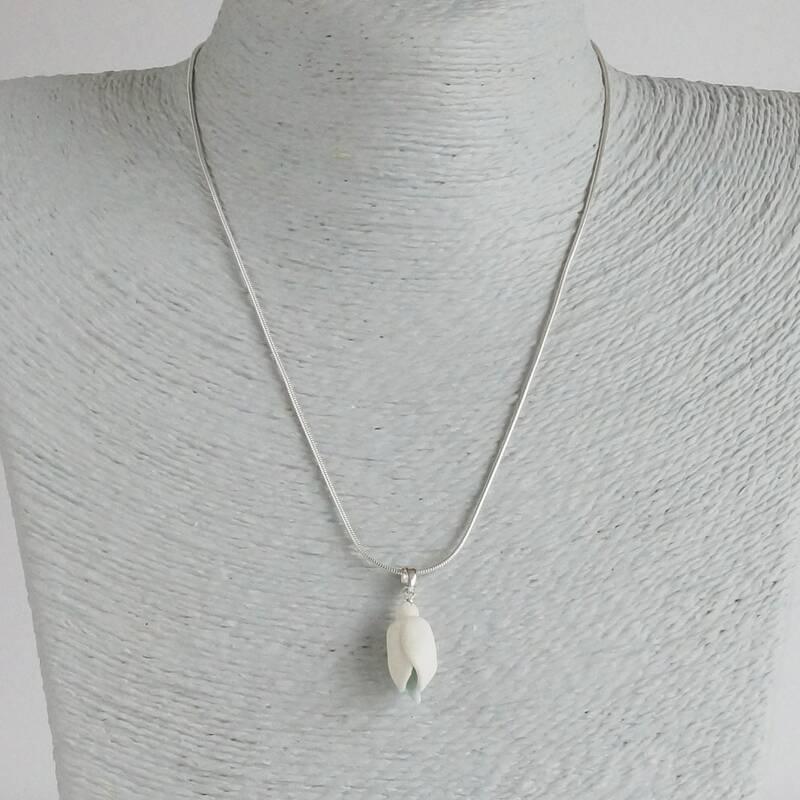 Snowdrop 20 mm x 10 mm approx. Sterling silver snake chain* with claw clasp 45 cm long (18 inches) x 1.2 mm diameter, stamped 925. 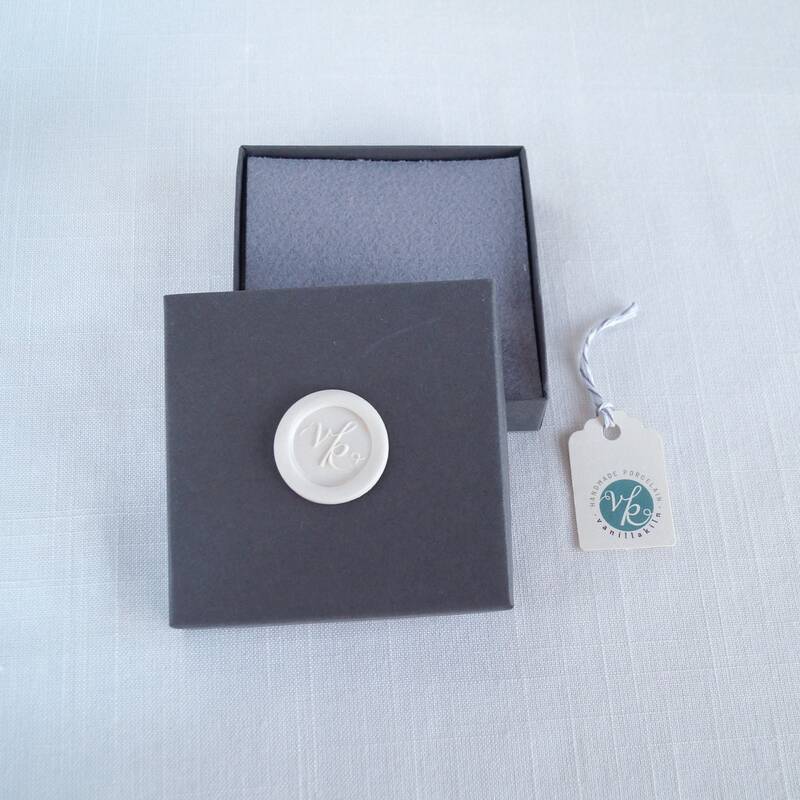 Sterling silver bail, stamped 925. 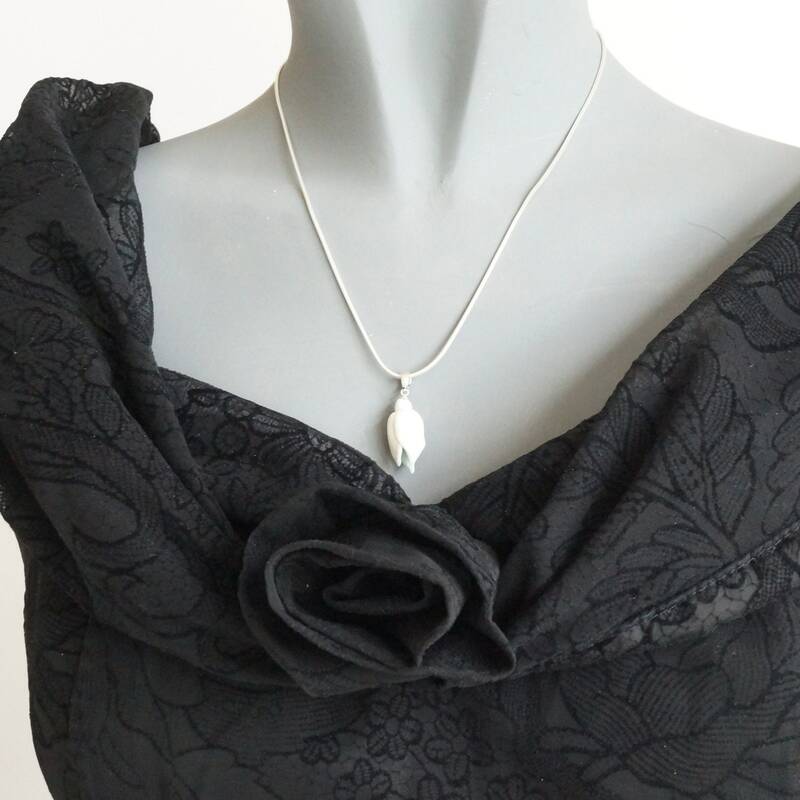 Alternative design is available with the addition of a lovely leaf charm. Also matching earrings available. 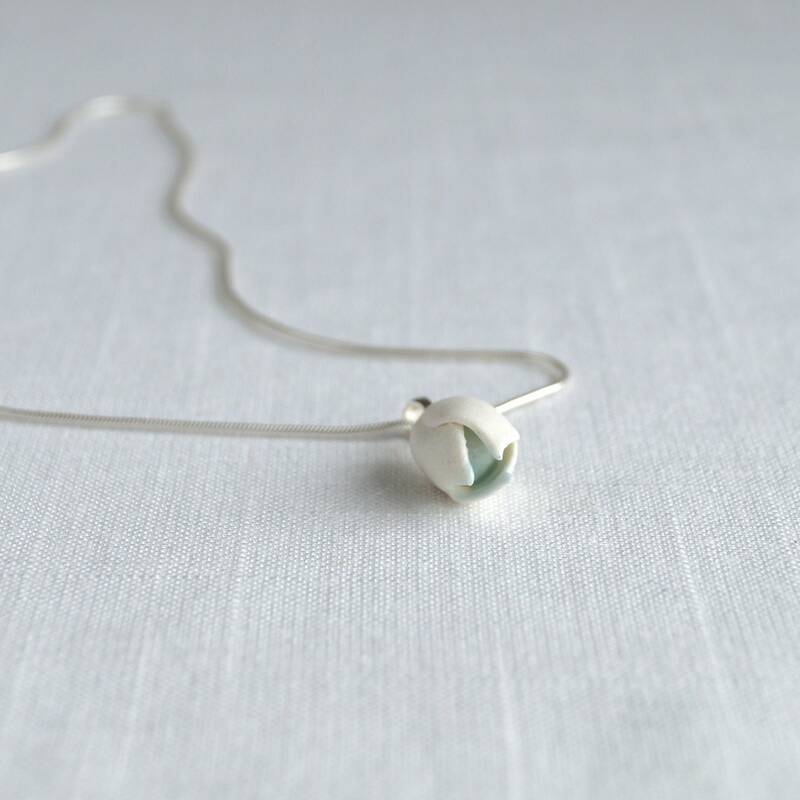 Snowdrops are a favourite that remind us that Spring is not far away. 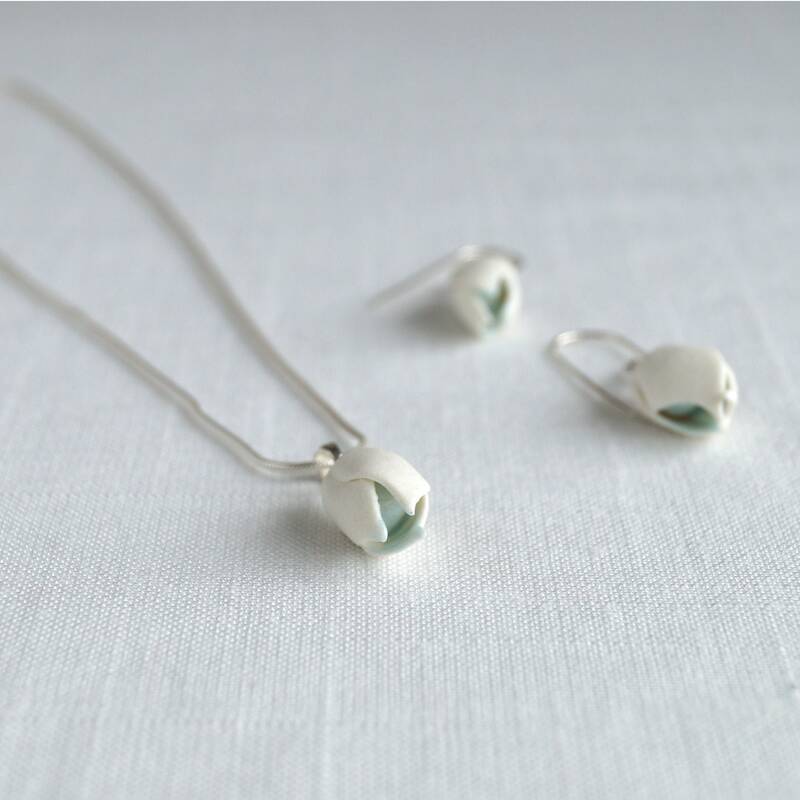 Every flower in the Snowdrop collection has been individually formed in porcelain clay and fired in my kiln. 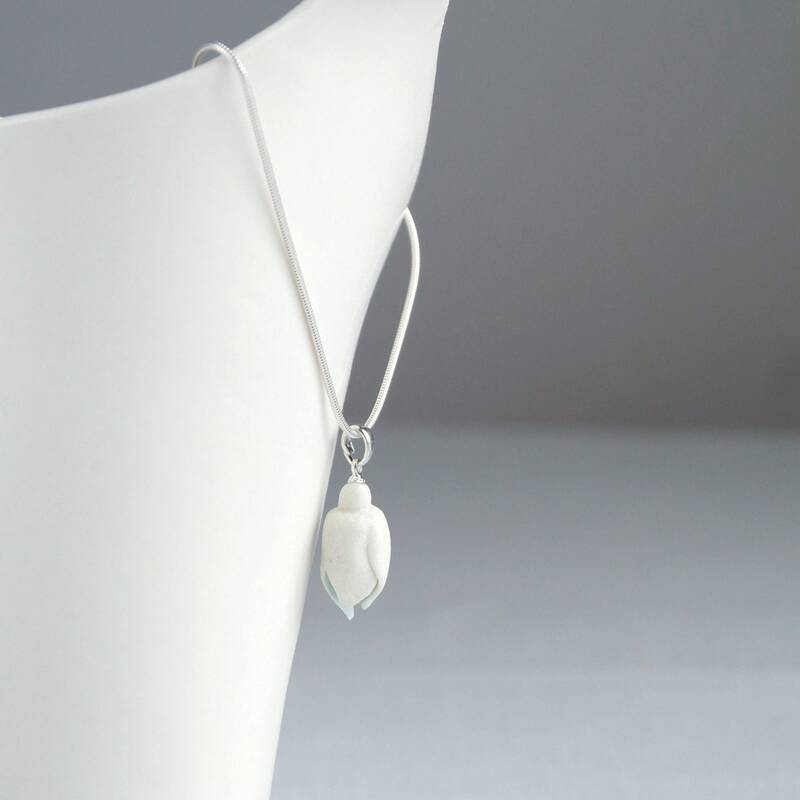 *Sterling silver chains and findings are purchased from a reputable UK wholesale bullion company.